Ant-Man and the Wasp is a 2018 American superhero film based on the Marvel Comics characters Scott Lang / Ant-Man and Hope van Dyne / Wasp. Produced by Marvel Studios and distributed by Walt Disney Studios Motion Pictures, it is the sequel to 2015's Ant-Man and the twentieth film in the Marvel Cinematic Universe (MCU). The film is directed by Peyton Reed and written by the writing teams of Chris McKenna and Erik Sommers, and Paul Rudd, Andrew Barrer and Gabriel Ferrari. It stars Rudd as Lang and Evangeline Lilly as Van Dyne, alongside Michael Peña, Walton Goggins, Bobby Cannavale, Judy Greer, Tip "T.I." Harris, David Dastmalchian, Hannah John-Kamen, Abby Ryder Fortson, Randall Park, Michelle Pfeiffer, Laurence Fishburne and Michael Douglas. In Ant-Man and the Wasp, the titular pair work with Hank Pym to retrieve Janet van Dyne from the quantum realm. Talks for a sequel to Ant-Man began shortly after that film was released. Ant-Man and the Wasp was officially announced in October 2015, with Rudd and Lilly returning to reprise their roles. A month later, Ant-Man director Reed was officially set to return; he was excited to develop the film from the beginning after joining the first film later in the process and also to introduce Hope van Dyne as the Wasp in this film, insisting that she and Lang are equals. Filming took place from August to November 2017, at Pinewood Atlanta Studios in Fayette County, Georgia, as well as Metro Atlanta, San Francisco, Savannah, Georgia and Hawaii. Ant-Man and the Wasp had its world premiere in Hollywood on June 25, 2018 and was released on July 6, 2018, in the United States in IMAX and 3D. The film received praise for its levity, humor and performances, particularly those of Rudd and Lilly, and grossed over $622 million worldwide. Two years after Scott Lang was placed on house arrest due to his involvement with the Avengers in violation of the Sokovia Accords,[N 1] Hank Pym and his daughter Hope van Dyne briefly manage to open a tunnel to the quantum realm. They believe Pym's wife Janet van Dyne might be trapped there after shrinking to sub-atomic levels in 1987. When he had previously visited the quantum realm, Lang had unknowingly become quantumly entangled with Janet, and now he receives an apparent message from her. With only days left of house arrest, Lang contacts Pym about Janet despite the strained relationship they have due to Lang's actions with the Avengers. Hope and Pym kidnap Lang, leaving a decoy so as not to arouse suspicion from FBI agent Jimmy Woo. Believing the message from Janet to be confirmation that she is alive, the trio work to build a stable quantum tunnel so they can take a vehicle to the quantum realm and retrieve her. They arrange to buy a part needed for the tunnel from black market dealer Sonny Burch, who has realized the potential profit that can be earned from Pym's research and double-crosses them. Donning the Wasp outfit, Hope fights off Burch and his men until she is attacked by a quantumly unstable masked woman. Lang tries to help fight off this "ghost", but the woman escapes with Pym's lab, which has been shrunk down to the size of a suitcase. Pym reluctantly visits his estranged former partner Bill Foster with Hope and Lang. Foster helps them locate the lab, where the ghost captures the trio and reveals herself to be Ava Starr. Her father Elihas, another of Pym's former partners, died along with his wife during the experiment that caused Ava's unstable state. Foster reveals that he has been helping Ava, whom they plan to cure using Janet's quantum energy. Believing that this will kill Janet, Pym refuses to help them and escapes with Hope, Lang, and the lab. Opening a stable version of the tunnel, Pym, Hope, and Lang are able to contact Janet, who gives them a precise location to find her but warns that they only have two hours before the unstable nature of the realm separates them for a century. Using a truth serum, Burch learns the trio's location from Lang's business partners Luis, Dave, and Kurt, and informs a contact at the FBI. Luis warns Lang, who rushes home before Woo can see him violating his house arrest. Pym and Hope are arrested by the FBI, allowing Ava to take the lab. Lang is soon able to help Pym and Hope escape custody, and they find the lab. Lang and Hope distract Ava while Pym enters the quantum realm to retrieve Janet, but Burch and his men also attack Lang and Hope which allows Ava to begin forcibly taking Janet's energy. Luis, Dave, and Kurt help incapacitate Burch and his men so that Lang and Hope can stop Ava. Pym and Janet return safely from the quantum realm, and Janet voluntarily gifts some of her energy to Ava to temporarily stabilize her. A former petty criminal who acquired a suit that allows him to shrink or grow in scale while also increasing in strength. 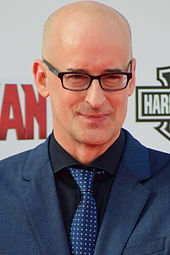 Following the events of Captain America: Civil War, in which Lang escapes from the Raft prison, director Peyton Reed said that "he's a fugitive in most of the first Ant-Man movie. He's just a bigger fugitive now." Rudd was interested in Lang being a regular person rather than "innately heroic or super", and to be driven by his desire to be a responsible parent. The daughter of Hank Pym and Janet van Dyne, who is handed down a similar suit and the Wasp mantle from her mother. The writers were excited to properly introduce the character as the Wasp, showing her "power set, how she fights, and what are the injustices that matter to her". Lilly felt the character has "incredible satisfaction" in becoming the Wasp, "something that she has been waiting for her whole life, which is essentially an affirmation from her father". Her relationship with Lang is more complicated than in the first film, and includes anger towards his actions during Civil War. Lilly felt it was important that Hope "be an extremely empathetic and compassionate person" and "to always push for feminine qualities to be apparent when she is dealing with situations". In her fight sequences, Lilly wanted to move away from the more masculine Muay Thai and MMA-style of fighting she learned for the first film, noting that Hope moves differently than a man, so her fights should have "elegance, grace and femininity" with "a signature style" young girls could enjoy and emulate. Lilly worked with the writers to help ensure Hope was able to "represent a modern woman" without becoming the stereotype of a motherly figure. Madeleine McGraw portrays a young Hope van Dyne. Lang's former cellmate and a member of his X-Con Security crew. There was less opportunity for Peña to improvise compared to the first film, where he and Rudd were still developing the character during filming. The creative team wanted to feature another scene of Luis "riffing a long story" as he did in the first film, but did not want to repeat themselves; they were able to take a different approach by giving the character truth serum in the scene for this film. Walton Goggins as Sonny Burch: A "low-level criminal-type" who seeks to obtain Pym's technology for sale on the black market. Bobby Cannavale as Jim Paxton: A police officer and husband to Lang's ex-wife Maggie. Judy Greer as Maggie: Lang's former wife. Tip "T.I." Harris as Dave: A member of Lang's X-Con Security crew. David Dastmalchian as Kurt: A member of Lang's X-Con Security crew. A woman with molecular instability, who can phase through objects; she is only considered a "villain" because her attempts at survival clash with the heroes' goals. The character is traditionally portrayed as male in the comics, but the creative team believed that the character's gender was irrelevant to its portrayal, and felt casting a woman would be more interesting; it also allowed them to continue the theme of fathers and daughters seen with other characters in the film. John-Kamen enjoyed this "blank-slate" aspect, allowing her to mold the character as her own. Producer Stephen Broussard said that they wanted to cast a lesser-known actress to help maintain the mystery of the character, and John-Kamen "blew us away". RaeLynn Bratten portrays a young Ava Starr. Abby Ryder Fortson as Cassie: The daughter of Lang and Maggie. The original Wasp who is lost in the quantum realm. She is Pym's wife and Hope's mother. 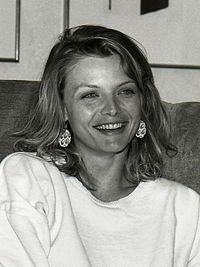 Pfeiffer was Reed's dream casting for the role since his time working on the first film, and he ensured that he received her input on the character. He noted that the character has spent 30 years in the quantum realm, so there is a question regarding how that has affected her. Producer Kevin Feige explained that the character ages over those 30 years even though time works differently in the quantum realm to avoid any "sci-fi weirdness" that could take away from the emotional reunions with Pym and Hope in the film. Hayley Lovitt stands in for a young Janet van Dyne, reprising her role from the first film; according to Reed, she had been cast in the first film, before Pfeiffer's involvement, due to her "saucer-like, Michelle Pfeiffer eyes." An old friend of Pym who was once his assistant on Project Goliath. Fishburne had approached Marvel about joining the MCU, pitching them a few ideas for whom he could portray, before Marvel offered him the role of Foster in the film. Despite having already portrayed Perry White for the DC Extended Universe, Fishburne said that he had always fantasized about being in an MCU film, admitting that he considered himself a "Marvel guy". Reed likened the rivalry between Foster and Pym to that of Steve Jobs and Bill Gates, and wanted an actor who can go "toe-to-toe" with Michael Douglas. Langston Fishburne, Laurence's son, stands in for a young Bill Foster. A former S.H.I.E.L.D. agent, entomologist, and physicist who became the original Ant-Man after discovering the subatomic particles that make the transformation possible. Pym has grown a lot closer to his daughter Hope since the first film, and according to Feige he has "that joy of fatherhood" in watching her become a superhero in her own right. Reed was attracted to the "morally dubious" decisions Pym sometimes makes. Dax Griffin stands in for a young Hank Pym, having done so for the first film as well. Additionally Stan Lee, co-creator of the titular heroes, has a cameo in the film as a man whose car gets shrunk by accident. Michael Cerveris appears as Ava's father Elihas Starr while Riann Steele plays his wife Catherine. Tim Heidecker and Brian Huskey appear in cameos as a whale boat captain named Daniel Gooobler and a teacher at Cassie's school, respectively. Sonny Burch's team of men includes Divian Ladwa as Uzman, Goran Kostić as Anitolov, and Rob Archer as Knox, while Sean Kleier portrays Stoltz, Burch's FBI inside man and Jimmy Woo's subordinate. Tom Scharpling and Jon Wurster of The Best Show make brief appearances as Burch's SUV drivers. It's such a no-brainer that there needs to be female heroes ... In the '60s comics, the Janet van Dyne Wasp was clearly written by all men and was pretty one-dimensional. She's gotten much more dimensionalized since then. That's one of those things that I think is going to be really exciting [in this film]. In June 2015, Ant-Man director Peyton Reed expressed interest in returning for a sequel or prequel to that film, saying that he had "really fallen in love with these characters" and felt "there's a lot of story to tell with Hank Pym". A month later, Pym actor Michael Douglas said he was not signed for any additional films, but "would look forward to more if it comes my way", and expressed the desire to have his wife Catherine Zeta-Jones cast as Janet van Dyne for a potential follow-up. Evangeline Lilly—who played the daughter of Pym and Van Dyne, Hope van Dyne—wanted to see Michelle Pfeiffer in the role. Producer Kevin Feige revealed that the studio had a "supercool idea" for the next Ant-Man film, and "if audiences want it, we'll find a place to do it." Reed also mentioned that there had been talks of making a standalone adventure with Hank Pym as Ant-Man, possibly including the original opening to Ant-Man featuring Jordi Mollà which was cut from the final film. Eric Eisenberg of Cinema Blend opined that a standalone adventure with Pym and the cut sequence would be a good candidate to revive the Marvel One-Shots short film series. By the end of July, David Dastmalchian expressed interest in returning for a sequel as Kurt. In October 2015, Marvel Studios confirmed the sequel, titled Ant-Man and the Wasp, with a scheduled release date of July 6, 2018. Reed was in negotiations to direct the sequel by the end of the month, and announced his return in November, along with the confirmation of Paul Rudd and Lilly returning as Scott Lang / Ant-Man and Hope van Dyne / Wasp, respectively. Despite being offered the chance to direct sequels in the past, Reed had never done so out of a lack of interest, but was excited to work on Ant-Man and the Wasp because there was "a lot more story to tell with these characters that I have a genuine affection and kind of protective feeling about". He was also able to build the sequel "from the ground up", as he joined the first film late in the process following the departure of original writer and director Edgar Wright, and wanted to explore elements that he had set up in the first film. He first began work on an outline for the sequel, which he thought could be "weird, unique and different" now that the characters' origins had been established. On being the first MCU film to have a female character in the title with the Wasp, Reed called it "organic" and noted the Wasp's final line in Ant-Man—'It's about damn time'—as "very much about her specific character and arc in that movie, but it is absolutely about a larger thing. It's about damn time: We’re going to have a fully realized, very very complicated hero in the next movie who happens to be a woman." Reed would push to ensure the Wasp received equal publicity and merchandise for the film, and wanted to explore the backstory of Janet van Dyne as well. He had "definite ideas" of who should portray that character. Reed said the alternate title Wasp and the Ant-Man was briefly considered, but was not chosen due to fan expectation given the comics history of the phrase "Ant-Man and the Wasp". That month, Adam McKay, one of the writers of Ant-Man, expressed interest in returning to write the film, and Douglas confirmed that he was in talks to return as well. Reed stated in early December that the film may "call back" to the heist film genre and tone of Ant-Man, but that Ant-Man and the Wasp would "have an entirely different genre template". He hoped to incorporate additional flashback sequences in the film, as well as explore Pym's various identities from the comics and his psychology. Reed also said he was "excited" about exploring and discovering the film version of the Ant-Man and Wasp relationship that is "a romantic partnership and a heroic partnership" in the comics, a "different dynamic than we've seen in the rest of the [MCU], an actual partnership." Additionally, Reed mentioned that pre-production would "probably" start in October 2016, with filming scheduled for early 2017. Production writers for the first film, Gabriel Ferrari and Andrew Barrer, signed on to write the script along with Rudd, with writing starting "in earnest" in January 2016. The next month, McKay stated that he would be involved with the film in some capacity. By April, the four writers and Reed had been "holed up in a room ... brainstorming the story", with Reed promising that it would have "stuff in it that you've never ever seen in a movie before". Feige added that they wanted to "stay true to what made [Ant-Man] so unique and different", and teased the potential of seeing the Giant-Man version of Lang that had been introduced in Captain America: Civil War (2016). Despite being "intimately involved in the writing and the development of the script", Reed did not take or receive a writing credit on the film. In June 2016, Reed said that for inspiration from the comics he had been looking at "early Avengers stuff and all the way up to the Nick Spencer stuff now", and was focusing on iconic images that could be replicated in the film over story beats from the comics. He added that there was "definitely a chance" for Michael Peña, Tip "T.I." Harris, and Dastmalchian to reprise their respective roles as Luis, Dave, and Kurt from the first film. At San Diego Comic-Con 2016, Feige stated that Reed and Rudd were still working on the script, and that filming was now expected to begin in June 2017. Rudd elaborated that they had "turned in a treatment, but it's so preliminary. We'll see. We have an idea of what it might look like, but it could change a lot from where we're at now." The next month, Peña was confirmed to be returning as Luis, while filming was revealed to be taking place in Atlanta, Georgia. In early October, an initial script had been completed for the film that was awaiting approval from Marvel. Reed later revealed that early drafts of the script included a cameo appearance from Captain America, appearing during Luis' flashback sequences as he was recapping Lang's involvement in the airport battle in Captain America: Civil War. However, the writers chose to remove the appearance in the final script since the events of Civil War were already referenced frequently in the film, and this instance "didn’t feel organic to the story." At the start of November 2016, Reed said that the film's production would transition from "the writing phase" to "official prep" that month, beginning with visual development. Reed reiterated his excitement for introducing the Wasp and "really designing her look, the way she moves, the power set, and figuring out, sort of, who Hope van Dyne is as a hero". Reed was inspired by the films After Hours (1985), Midnight Run (1988), and What's Up, Doc? (1972) for the look and feel of Ant-Man and the Wasp. While the first film was more of a heist film, Reed described this as part action film, part romantic comedy, and was inspired by the works of Elmore Leonard where there are "villains, but we also have antagonists, and we have these roadblocks to our heroes getting to where they need to be". He also stated his disappointment in the Giant-Man introduction happening in Civil War, rather than an Ant-Man film, but noted that the appearance provided character development opportunities between Lang, Pym, and Van Dyne since Pym is "very clear in the first movie about how he feels about Stark and how he feels about The Avengers and being very protective of this technology that he has", and so Reed thought Pym would be "pissed" and Van Dyne would feel betrayed, which was Reed's "in" for those characters' starting dynamics. Reed added that he spends "a lot of time" talking with the other writers and directors of MCU films, and that he and the writers on this film wished to maintain "our little Ant-Man corner of the universe. Because it's a whole different vibe tonally". Quantum physicist Spyridon Michalakis from the Institute for Quantum Information and Matter at the California Institute of Technology returned to consult on the film, after doing the same on Ant-Man, and explained the science behind getting extremely small to the filmmakers. Michalakis described the subatomic realm as "a place of infinite possibility, an alternative universe where the laws of physics and forces of nature as we know them haven’t crystallized" and suggested it should be represented in the film by "beautiful colors changing constantly to reflect transience." In February 2017, Douglas confirmed that he would reprise his role as Hank Pym in the film. During the Hollywood premiere of Guardians of the Galaxy Vol. 2 in April, Dastmalchian confirmed his return as Kurt, and a month later, Harris confirmed his return as Dave as well. Through that May, Marvel was meeting with several actresses for a "key role" in the sequel, with Hannah John-Kamen cast in the part at the beginning of June. The following month, Randall Park joined the cast as Jimmy Woo, and Walton Goggins was cast in an undisclosed role. At San Diego Comic-Con 2017, Park's casting was confirmed; John-Kamen and Goggins' roles were revealed to be Ghost and Sonny Burch, respectively; and the casting of Pfeiffer as Janet van Dyne and Laurence Fishburne as Bill Foster was announced. Judy Greer was confirmed to be reprising her role as Maggie from the previous film the following week. Louise Frogley served as costume designer on the film after doing so for Marvel's Spider-Man: Homecoming (2017), and worked with Ivo Coveney to create the superhero suits for the film. Based on designs by Andy Park, the suits are updated for the film from the 1960s-inspired designs used in the first Ant-Man to more modern designs. The Wasp suit included practical wings which were replaced with digital wings for when they are expanded and ready for flight. The Russo brothers, directors of Avengers: Infinity War and Avengers: Endgame, which were filming while Ant-Man and the Wasp was preparing to film, were in constant discussion with Reed in order to ensure story elements would line up between the films. Joe Russo added that Ant-Man and the Wasp would have "some [plot] elements that stitch in" closely with Avengers: Infinity War, more so than some of the other films leading up to the Avengers films. Reed knew Ant-Man and the Wasp would be "a fairly stand-alone movie but... could not ignore the events of Infinity War", with the biggest connection occurring in the film's mid-credit scene. Since the events of Ant-Man and the Wasp occur over 48 hours, the timeline in relation to Infinity War was "left purposefully ambiguous" with Reed noting there had been discussions of placing "little Easter eggs along the way, to start to reveal to the audience where the movie takes place in the timeline, [but t]hat felt not very fun to us and kind of obvious." Reed also liked how the film ends with closure and on a positive note "and then to BANG — give the audience a gut punch right after the main credits", with the sequence showing Hank Pym, Janet van Dyne, and Hope van Dyne disintegrating due to the events of Avengers: Infinity War. The film also has a post-credit scene that shows the ant who doubled for Lang while under house arrest performing a drum solo. Principal photography began on August 1, 2017, at Pinewood Atlanta Studios in Fayette County, Georgia, under the working title Cherry Blue; Dante Spinotti served as director of photography, shooting on Arri Alexa 65 cameras, with some sequences being shot with a Frazier lens. At the start of filming, Marvel revealed that Bobby Cannavale and Abby Ryder Fortson would also reprise their roles from the first film, respectively as Paxton and Cassie, and that Chris McKenna and Erik Sommers had contributed to the screenplay. The film's lab and quantum tunnel set was inspired by The Time Tunnel (1966–67), and was the largest physical set built for an MCU film, which Reed jokingly said was "a little counter-intuitive". For the sequence where Janet van Dyne communicates through Lang, inspiration was taken from All of Me (1984) in which Lily Tomlin's character is trapped in the body of Steve Martin's character. There were discussions about having Pfeiffer perform the scene first to give Rudd an idea of how she would act, but the group ultimately decided to let Rudd invent the scene completely himself. For the chamber in Ghost's lair, the production team under production designer Shepherd Frankel wanted to create an environment that was unique to the MCU, and designed the chamber with fresnel lenses to give it concentric-circle patterns that served a practical purpose for the film's story as well as differentiating the aesthetics of it from other sets and creating mystery about the character. The chamber is surrounded by "support shapes" to "create this feeling of desperation and yearning for family and stability". Filming also took place in Metro Atlanta, with filming locations including the Atlanta International School, the Midtown and Buckhead districts of Atlanta, and the Samuel M. Inman Middle School in the city's Virginia-Highland neighborhood; as well as Emory University and the Atlanta Motor Speedway in Hampton, Georgia. Additional filming took place in San Francisco in September 2017, in Savannah, Georgia in late October, and in Hawaii. Production wrapped on November 19, 2017. In late November, Lilly said that the characters would try to enter the quantum realm in the film, and their potential success would "open a whole entire new multi-verse to enter into and play around in" for the MCU. The film includes a clip from Animal House (1978), which Reed was reminded of while discussing the quantum realm science for the film. Reed insisted that the film be shorter than two hours since it would be following the "massive epic" Infinity War and because it is "an action/comedy, and it didn’t want to overstay its welcome". The film's main credits sequence is a "table-top" version of its action sequences, and was created by Elastic. An alternative idea that had been considered was to create a "fake behind-the-scenes documentary" that would have made the film look like it was a 1950s Godzilla movie with "people in suits stomping on model cityscapes". Visual effects for the film were created by DNEG, Scanline VFX, Method Studios, Luma Pictures, Lola VFX, Industrial Light & Magic, Cinesite, Rise FX, Rodeo FX, Crafty Apes, Perception NYC, Digital Domain, and The Third Floor. DNEG worked on over 500 shots, including the effects for Ghost—which were shared with the other vendors—the third act chase sequence, and the final Ghost fight as Hank and Janet are returning from the quantum realm. For the "macro-photography" sequences in the film, DNEG took a different approach from their work in Ant-Man due to issues including trying to get a camera to seem small enough to capture the small actions. Though some of the film was shot with a Frazier lens that provides extra depth of field, DNEG would still need to "re-project the road higher and "raise the floor level" to simulate a tiny sized camera". As the third act chase sequence was mainly shot in Atlanta, while being set in San Francisco, DNEG VFX Supervisor Alessandro Ongaro noted it required "extensive environment work" with background elements in some shots not being salvageable at all. DNEG ultimately created 130 unique environments for the chase. 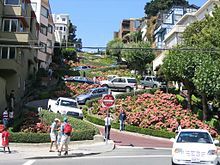 Clear Angle aided DNEG with the Lidar surveying and photography of San Francisco, and were able to get their information for Lombard Street down to the millimeter resolution. Lola once again worked on the de-aging sequences with Douglas, Pfeiffer, and Fishburne. The flashback sequences featuring a younger Hank Pym were set around the same time as the flashback sequences of Ant-Man, so Lola were able to use a similar process, referencing Douglas' appearance in Wall Street (1987) and having the actor on set in a different wardrobe and wig. Lola VFX Supervisor Trent Claus felt Pfeiffer's was less complicated, since "she has aged incredibly well" and still has big hair and a big smile. Pfeiffer's work from Ladyhawke (1985) and other films around that time was referenced. For Fishburne, his son served as his younger double, and helped inform Lola how the older Fishburne's skin would have looked in certain lighting situations. The films Lola looked to for Fishburne's younger self included Boyz n the Hood (1991) and Deep Cover (1992). Lola also made Fishburne thinner, and all actors had their posture adjusted. Luma worked on the scenes where Ant-Man and the Wasp infiltrate Ghost's hideout, where they had to recreate the entire environment with CGI. They also created the first quantum tunnel sequence where Ghost receives her powers, and the flashback missile launch, which had to be replicated exactly from how it appeared in Ant-Man. The new version of the quantum realm, designed by Reed and production VFX supervisor Stephane Ceretti, was created by Method. Method Studios VFX Supervisor Andrew Hellen, explained, "We did a lot of research into macro and cellular level photography, and played with different ways to visualize quantum mechanics. It has a very magical quality, with a scientific edge. We also used glitching effects and macro lensing to ground the footage, and keep it from feeling too terrestrial." Method also worked on the sequence when Lang is the size of a preschooler, and created the digital doubles for Ant-Man and Wasp; Method used the same level of detail on the digital double suits regardless of what scale they were. In June 2017, Reed confirmed that Christophe Beck, who composed the score for Ant-Man, would return for Ant-Man and the Wasp. Beck reprised his main theme from Ant-Man, and also wrote a new one for Wasp that he wanted to be "high energy" and show that she is more certain of her abilities than Lang. When choosing between these themes for specific scenes throughout the film, Beck tried to choose the Wasp theme more often so there would be "enough newness in the score to feel like it’s going new places, and isn’t just some retread." Hollywood Records and Marvel Music released the soundtrack album digitally on July 6, 2018. Concept art and "pre-CGI video" for the film was shown at the 2017 San Diego Comic-Con. In January 2018, Hyundai Motor America announced that the 2019 Hyundai Veloster would play a significant role in the film, with other Hyundai vehicles also appearing. The first trailer for the film was released on January 30, 2018 on Good Morning America, and used the guitar riff from Adam and the Ants' "Ants Invasion". David Betancourt of The Washington Post called the release, the day after the widely praised Black Panther premiere, a "smart move"; with Black Panther and Avengers: Infinity War also releasing in 2018, "it can be easy [to] forget that hey, there is an Ant-Man sequel coming this year... So Marvel Studios giving us a quick reminder with this trailer release is logical". Tracy Brown, writing for the Los Angeles Times, praised how the trailer prominently featured Lilly's Van Dyne "[showing] off how she was always meant to be a superhero". A second trailer was released on May 1, 2018, following a teaser video featuring the Infinity War cast asking "where were Ant-Man and The Wasp?" in that film. Graeme McMillan of The Hollywood Reporter felt the trailer made the film feel "very much like an intentional antidote for, or at least alternative to, the grimness of Infinity War's downbeat ending", calling it "a smart move" since it could be considered "a palate cleanser and proof that Marvel has more to offer... before audiences dive back into the core narrative with next year's Captain Marvel." In June 2018, Feige presented several scenes from the film at CineEurope. Promotional partners for the film included Dell, Synchrony Financial, and Sprint. In total, Disney spent about $154 million worldwide on promoting the film. Ant-Man and the Wasp had its world premiere at the El Capitan Theatre in Hollywood on June 25, 2018, and was released in the United States on July 6, 2018, where it opened in 4,206 theaters, of which 3,000 were in 3D, 403 were in IMAX, over 660 were in premium large format, and over 220 were in D-Box and 4D. The film was scheduled to be released in the United Kingdom on June 29, 2018, but was rescheduled in November 2017 to August 3, 2018, in order to avoid competition with the 2018 FIFA World Cup. Charles Gant of The Guardian and Screen International noted, "The worry for film distributors is that audiences will be caught up in the tournament. So it's easier to play safe and not date your film at this time, especially during the group stage, when all the qualifying nations are competing." Tom Butler of Yahoo! Movies UK added that, unlike the first film, which was one of the lowest-grossing MCU films in the UK, anticipation levels for the film "are at an all-time high following the events of Infinity War" and "UK audiences will probably have found out what happens in the film well before it opens in UK cinemas, and this could have a negative impact on its box office potential." Butler and Huw Fullerton of Radio Times both opined the delay could also be in part because of Disney also delaying the United Kingdom release of Incredibles 2 to July 13, 2018 (a month after its United States release), and not wanting to compete with itself with the two films. This in turn led fans in the country to start a Change.org petition to have Disney move the release date up several weeks, similarly to how Avengers: Infinity War's United States release was moved up a week the previous May. Ant-Man and the Wasp was released on digital download by Walt Disney Studios Home Entertainment on October 2, 2018, and on Ultra HD Blu-ray, Blu-ray, and DVD on October 16. The digital and Blu-ray releases include behind-the-scenes featurettes, an introduction from Reed, deleted scenes, and gag reels. The digital release also features a look at the role concept art plays in bringing the various MCU films to life and a faux commercial for Online Close-Up Magic University. Ant-Man and the Wasp grossed $216.6 million in the United States and Canada, and $406 million in other territories, for a worldwide total of $622.7 million. Following its opening, Deadline Hollywood estimated the film would turn a net profit of around $100 million. It became the eleventh highest-grossing film of 2018. Ant-Man and the Wasp earned $33.8 million on its opening day in the United States and Canada (including $11.5 million from Thursday night previews), for an opening weekend total of $75.8 million; this was a 33% improvement over the first film's debut of $57.2 million. Its opening included $6 million from IMAX screens. In its second weekend, the film earned $28.8 million, coming in second behind Hotel Transylvania 3: Summer Vacation, and in its third weekend grossed $16.1 million, coming in fourth. The film placed sixth in its fourth weekend, seventh in its fifth weekend, and tenth in its sixth weekend. BoxOffice Magazine projected a final domestic gross of $225 million. Outside the United States and Canada, the film earned $85 million from 41 markets, where it opened number one in all except New Zealand. Its South Korea opening was $20.9 million (which included previews). The $15.5 million opening from the market without previews was the second-best opening of 2018 behind Avengers: Infinity War. In its second weekend, playing in 44 markets, it remained number one in Australia, Hong Kong, South Korea, and Singapore. The film opened in France in its third weekend, earning $4.1 million, and opened in Germany in its fourth, where it was number one and earned $2.8 million, including previews. The next weekend saw Ant-Man and the Wasp open at number one (when including previews) in the United Kingdom, where it earned $6.5 million, and two weeks later, Italy opened number one with $2.7 million (including previews). In its eighth weekend, the film's $68 million opening in China was the fourth-best MCU opening in China and the third-highest Hollywood film opening of 2018. $7.2 million was from IMAX, which was the best August IMAX opening in China. The film opened in Japan the next weekend, earning $3.7 million, which was the top Western film for the weekend. As of September 9, 2018[update], the film's largest markets were China ($117.5 million), South Korea ($42.4 million), and the United Kingdom ($21.5 million). Paul Rudd (left) and Evangeline Lilly (right) received praise from critics for their performances and chemistry in the film. The review aggregation website Rotten Tomatoes reported an approval rating of 88% based on 379 reviews, and an average rating of 6.97/10. The website's critical consensus reads, "A lighter, brighter superhero movie powered by the effortless charisma of Paul Rudd and Evangeline Lilly, Ant-Man and The Wasp offers a much-needed MCU palate cleanser." Metacritic, which uses a weighted average, assigned the film a normalized score of 70 out of 100, based on 56 critics, indicating "generally favorable reviews". Audiences polled by CinemaScore gave the film an average grade of "A–" on an A+ to F scale, down from the "A" earned by the first film. 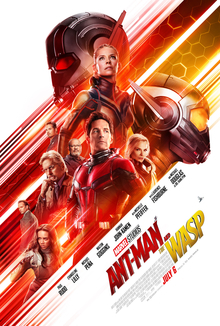 Peter Travers, writing for Rolling Stone, gave the film 3 out of 4 stars and praised Rudd and Lilly, saying, "The secret of Ant-Man and the Wasp is that it works best when it doesn't try so hard, when it lets charm trump excess and proves that less can be more even in the Marvel universe." Richard Roeper of the Chicago Sun-Times praised the lightweight tone as a treat and a breath following the "dramatically heavy conclusion" of Avengers: Infinity War. He also praised the cast, especially Rudd and Fortson, as well as the visual effects and inventive use of shrinking and growing in the action scenes. Manohla Dargis at The New York Times felt the film's "fast, bright and breezy" tone was a vast improvement over the first film, praising Reed's direction. She also praised Rudd, felt Lilly found "her groove" in the film, and wrote that the supporting cast all had "scene-steal[ing]" sequences. Simon Abrams of RogerEbert.com said the film was "good enough", a "messy, but satisfying" sequel that he felt managed to juggle its many subplots while giving Rudd's Lang some decent character development. Variety's Owen Gleiberman called the film "faster, funnier, and more cunningly confident than the original," and felt Reed was able to give the film enough personality to overcome its two-hour runtime and effects-heavy climax. He did caution that this was "not quite the same thing as humanity. But it's enough to qualify as the miniature version." At The Washington Post, Ann Hornaday called the film "instantly forgettable" and criticized its plot, which she felt included some "filler" subplots, but found the film to be "no less enjoyable" because of this. She particularly praised Rudd along with the action and effects. Writing for the Boston Globe, Ty Burr called the film the perfect "summer air-conditioning movie", finding it fun, funny, superficial and an improvement over the first. He also wrote that the film had too many subplots and not enough of Pfeiffer, but was pleased with the lack of connection that the overall story had to the rest of the MCU, and with the focus on "pop trash" comedy. Stephanie Zachareck, writing for Time, said it was "hard to actively dislike" the film, which she thought had reasonably fun action and stand-out moments between Rudd and Fortson; but she was not as impressed with the larger, effects-heavy action sequences and felt the focus on Lilly as a better hero than Rudd was "just checking off boxes in the name of gender equality." Ahead of the film's release, Reed noted that he and Marvel were "hopeful" about a third film, having discussed potential story points. Michael Douglas also expressed interest in playing a younger version of his character Hank Pym in a prequel, something which Reed already teased back in 2015. In February 2019, Douglas said of a possible sequel, "There's been talk [about another Ant-Man]... [but] there's been nothing formal right now that I know of." ^ As depicted in Captain America: Civil War (2016). ^ Due to the ending of Avengers: Infinity War (2018). ^ a b c d e f g h i j k l m n o p "Ant-Man and the Wasp Press Kit" (PDF). Walt Disney Studios Motion Pictures. Archived (PDF) from the original on July 4, 2018. Retrieved July 4, 2018. ^ "Ant-Man and the Wasp (2018)". British Board of Film Classification. Retrieved July 2, 2018. ^ a b c d e f g h D'Alessandro, Anthony (July 8, 2018). "'Ant-Man And The Wasp' Shrinks A Tick To $76M Opening, But Still 33% Bigger Than Original – Sunday Final". Deadline Hollywood. Archived from the original on July 9, 2018. Retrieved July 9, 2018. ^ a b Golum, Rob (July 9, 2018). "'Ant-Man' Swarms Theaters With $75.8 Million for Walt Disney". Bloomberg L.P. Archived from the original on July 20, 2018. Retrieved July 19, 2018. ^ a b "Ant-Man and the Wasp (2018)". Box Office Mojo. Retrieved December 10, 2018. ^ a b Abad-Santos, Alex (July 5, 2018). "Ant-Man and the Wasp's post-credits scenes, explained". Vox. Archived from the original on July 6, 2018. Retrieved July 6, 2018. ^ a b c d Cabin, Chris (November 13, 2015). "'Ant-Man and the Wasp': Michael Douglas Eyeing Return for Sequel". Collider. Archived from the original on November 13, 2015. Retrieved November 13, 2015. ^ a b Gerber, Sean (June 23, 2016). "Ant-Man Director Peyton Reed on the Saturn Award Win and the Sequel". Modern Myth Media. Archived from the original on June 24, 2016. Retrieved June 24, 2016. ^ Pearson, Ben (June 18, 2018). "'Ant-Man and the Wasp' Interview: Paul Rudd Talks About The "Weird" Sequel". /Film. Archived from the original on June 24, 2018. Retrieved June 18, 2018. ^ Derschowitz, Jessica (April 13, 2016). "Ant-Man director teases Wasp direction for sequel". Entertainment Weekly. Archived from the original on April 13, 2016. Retrieved April 13, 2016. ^ Pearson, Ben (June 18, 2018). "'Ant-Man and the Wasp' Set Visit: Everything We Learned About Marvel's Upcoming Sequel". /Film. Archived from the original on June 18, 2018. Retrieved June 18, 2018. ^ Killkenny, Katie (July 5, 2018). "Evangeline Lilly on How She "Challenged" Herself to Speak Up on the 'Ant-Man and the Wasp' Set". The Hollywood Reporter. Archived from the original on October 24, 2018. Retrieved October 24, 2018. ^ a b c d e f Anderson, Jenna (June 20, 2018). "'Ant-Man and the Wasp' Cast List Reveals Younger Versions of Key Characters". Comicbook.com. Archived from the original on July 6, 2018. Retrieved July 5, 2018. ^ a b Kit, Borys (August 19, 2016). "Michael Pena to Star in Sony Horror Thriller 'The Bringing' (Exclusive)". The Hollywood Reporter. Archived from the original on August 20, 2016. Retrieved August 19, 2016. ^ Thompson, Simon (January 7, 2018). "Michael Pena Talks Ant-Man and the Wasp and Hints at a Possible Third Movie". IGN. Archived from the original on January 8, 2018. Retrieved January 7, 2018. ^ a b c d e f g h Hunter, Rob (October 5, 2018). "23 Things We Learned from the 'Ant-Man and the Wasp' Commentary". Film School Rejects. Archived from the original on October 24, 2018. Retrieved October 24, 2018. ^ a b c Collis, Clark (April 19, 2018). "Ant-Man and the Wasp is about search for Michelle Pfeiffer's Janet van Dyne – exclusive images". Entertainment Weekly. Archived from the original on April 20, 2018. Retrieved April 20, 2018. ^ a b c d e Perry, Spencer (August 1, 2017). "Production Officially Begins on Ant-Man and the Wasp!". ComingSoon.net. Archived from the original on August 1, 2017. Retrieved August 1, 2017. ^ a b N'Duka, Amanda (July 27, 2017). "Judy Greer Set To Return For Marvel's 'Ant-Man and the Wasp'". Deadline Hollywood. Archived from the original on July 27, 2017. Retrieved July 27, 2017. ^ a b Morales, Wilson (May 23, 2017). "T.I. Confirmed To Return In Marvel's Ant-Man and The Wasp". BlackFilm.com. Archived from the original on May 23, 2017. Retrieved May 24, 2017. ^ a b "David Dastmalchian Confirms Kurt Is Returning for 'Ant-Man and the Wasp'". Entertainment Tonight. April 19, 2017. Archived from the original on April 20, 2017. Retrieved April 20, 2017. ^ a b Riesman, Abraham (May 1, 2018). "What We Did and Didn't Learn From the Ant-Man and the Wasp Trailer". Vulture. Archived from the original on May 3, 2018. Retrieved May 3, 2018. ^ Nemiroff, Perri (June 21, 2018). "'Ant-Man and the Wasp': Hannah John-Kamen Teases the New MCU Antagonist Ghost". Collider. Archived from the original on June 24, 2018. Retrieved June 24, 2018. ^ a b c Breznican, Anthony (July 22, 2017). "Michelle Pfeiffer will play Janet Van Dyne in Ant-Man and The Wasp". Entertainment Weekly. Archived from the original on July 23, 2017. Retrieved July 22, 2017. ^ a b McNary, Dave (July 7, 2017). "'Fresh Off the Boat' Star Randall Park Joins 'Ant-Man and the Wasp'". Variety. Archived from the original on July 7, 2017. Retrieved July 7, 2017. ^ a b c d Couch, Aaron (July 2, 2018). "'Ant-Man and the Wasp' Director on Wooing Michelle Pfeiffer and His Marvel Future". The Hollywood Reporter. Archived from the original on July 6, 2018. Retrieved July 6, 2018. ^ Sciretta, Peter (July 6, 2018). "Kevin Feige Explains How They Planned 'Ant-Man and The Wasp' Alongside 'Infinity War,' the Disney Streaming Service and More [Interview]". /Film. Archived from the original on July 7, 2018. Retrieved July 7, 2018. ^ Chitwood, Adam (November 2, 2017). "Laurence Fishburne Says He's Working on a Secret Project with Marvel". Collider. Archived from the original on November 3, 2017. Retrieved November 2, 2017. ^ Lerner, Will (November 15, 2017). "Laurence Fishburne is psyched to jump from DC to Marvel Cinematic Universe for 'Ant-Man and Wasp'". Yahoo!. Archived from the original on November 18, 2017. Retrieved November 17, 2017. ^ a b c Nemiroff, Perri (June 18, 2018). "'Ant-Man and the Wasp': 22 Things to Know About the 'Midnight Run'-Inspired Sequel". Collider. Archived from the original on June 18, 2018. Retrieved June 18, 2018. ^ a b Hall, Jacob (February 10, 2017). "'Ant-Man and the Wasp' Will See the Return of Michael Douglas' Hank Pym". /Film. Archived from the original on February 10, 2017. Retrieved February 10, 2017. ^ Fitch, Adam (September 11, 2017). "Stan Lee Has Already Filmed Cameos for Black Panther Avengers 4, & More". Comic Book Resources. Archived from the original on January 11, 2018. Retrieved January 10, 2018. ^ Freed, Benjamin (July 6, 2018). "Movie Review: Ant-Man and the Wasp". Brightest Young Things. Archived from the original on July 6, 2018. Retrieved July 6, 2018. ^ a b Wickman, Kase (November 11, 2015). "'Ant-Man' Director Wants To Make Sure The Sequel's Wasp Is As Awesome As Possible". MTV. Archived from the original on November 12, 2015. Retrieved November 12, 2015. ^ a b Davis, Brandon (June 30, 2015). "Ant-Man Director Peyton Reed Interested Doing Ant-Man Prequel About Hank Pym". Comicbook.com. Archived from the original on July 1, 2015. Retrieved July 1, 2015. ^ Damore, Meagan (July 28, 2015). ""Ant-Man": Michael Douglas Isn't Signed For More MCU Films, Would Like To Be". Comic Book Resources. Archived from the original on July 28, 2015. Retrieved July 28, 2015. ^ Reynolds, Simon; Mansell, Tom (July 10, 2015). "Catherine Zeta-Jones as The Wasp? Spoiler-filled Ant-Man chat with Michael Douglas and Peyton Reed". Digital Spy. Archived from the original on July 16, 2015. Retrieved July 10, 2015. ^ Eisenberg, Eric (July 21, 2015). "Is The Original Wasp Still Alive? Here's What Evangeline Lilly Says". Cinema Blend. Archived from the original on July 22, 2015. Retrieved July 21, 2015. ^ Davis, Erik (July 7, 2015). "Interview: Marvel Studios President Kevin Feige on 'Ant-Man,' 'Doctor Strange' and More". Fandango.com. Archived from the original on July 17, 2015. Retrieved July 17, 2015. ^ Eisenberg, Eric (July 21, 2015). "Ant-Man Originally Had A Completely Different Opening Scene". Cinema Blend. Archived from the original on July 22, 2015. Retrieved July 22, 2015. ^ Metz, Nina (July 20, 2015). "David Dastmalchian geeks out over 'Ant-Man' role". Chicago Tribune. Archived from the original on July 23, 2015. Retrieved July 23, 2015. ^ a b Strom, Marc (August 18, 2014). "Marvel Studios Phase 3 Update". Marvel.com. Archived from the original on October 8, 2015. Retrieved October 8, 2015. ^ Siegel, Tatiana; Kit, Borys (October 21, 2015). "'Ant-Man' Director Peyton Reed in Negotiations to Return for Sequel (Exclusive)". The Hollywood Reporter. Archived from the original on October 22, 2015. Retrieved October 21, 2015. ^ a b c Patches, Matt (July 7, 2018). "Ant-Man and the Wasp's director on half-size Paul Rudd & Morrissey references". Polygon. Archived from the original on October 24, 2018. Retrieved October 24, 2018. ^ a b c Zakarin, Jordan (November 11, 2015). "'Ant-Man' Director Peyton Reed on the Sequel, Putting 'The Wasp' in the Title, and 'Fantastic Four' Failures". Yahoo!. Archived from the original on November 11, 2015. Retrieved November 11, 2015. ^ Truitt, Brian (November 12, 2015). "Peyton Reed's 'doubly excited' for 'Ant-Man' sequel". USA Today. Archived from the original on November 13, 2015. Retrieved November 13, 2015. ^ Bradley, Bill (August 16, 2018). "'Ant-Man And The Wasp' Reveal Supports Popular 'Avengers 4' Theory". HuffPost. Archived from the original on August 20, 2018. Retrieved August 19, 2018. ^ Ford, Rebecca (November 8, 2015). "How Adam McKay Managed to Write and Wrangle Stars for 'The Big Short' (Q&A)". The Hollywood Reporter. Archived from the original on November 10, 2015. Retrieved November 10, 2015. ^ a b Huver, Scott (December 7, 2015). "Peyton Reed's "Ant-Man and the Wasp" Has "An Entirely Different Genre Template"". Comic Book Resources. Archived from the original on December 8, 2015. Retrieved December 8, 2015. ^ Fleming Jr, Mike (December 9, 2015). "Andrew Barrer & Gabriel Ferrari Close Deal To Team With Paul Rudd On 'Ant-Man and the Wasp'". Deadline Hollywood. Archived from the original on December 9, 2015. Retrieved December 9, 2015. ^ McCabe, Joseph (February 16, 2016). "Adam McKay Will Be Back for Ant-Man and The Wasp". Nerdist Industries. Archived from the original on February 16, 2016. Retrieved February 16, 2016. ^ Perry, Spencer (April 12, 2016). "Peyton Reed: Ant-Man and the Wasp Will Feature Things 'Never Seen in a Movie Before'". ComingSoon.net. Archived from the original on April 13, 2016. Retrieved April 13, 2016. ^ Giroux, Jack (April 12, 2016). "Kevin Feige Teases What to Expect in 'Ant-Man and the Wasp'". /Film. Archived from the original on April 12, 2016. Retrieved April 12, 2016. ^ a b Starnes, Joshua (July 24, 2016). "Comic-Con: Kevin Feige, Directors and Stars on the Marvel Cinematic Universe". ComingSoon.net. Archived from the original on July 25, 2016. Retrieved July 24, 2016. ^ Trumbore, David (April 21, 2017). "Marvel's 'Ant-Man and the Wasp' to Start Filming This June". Collider. Archived from the original on April 23, 2017. Retrieved April 22, 2017. ^ Muhammad, Latifa (August 10, 2016). "Paul Rudd Gushes Over Brie Larson Joining Marvel Universe: 'We're Very Lucky'". ET Online. Archived from the original on August 11, 2016. Retrieved August 11, 2016. ^ a b Brett, Jennifer (September 1, 2016). ""Spider-Man" films right next to where "Captain America" did". Atlanta Journal-Constitution. Archived from the original on September 2, 2016. Retrieved September 1, 2016. ^ Avila, Mike (October 9, 2016). "Watch: Evangeline Lilly on introducing the Wasp, when she'll join The Avengers". Blastr. Archived from the original on October 9, 2016. Retrieved October 9, 2016. ^ Fullerton, Huw (July 25, 2018). "Ant-Man and the Wasp originally had a hilarious Captain America cameo". Radio Times. Archived from the original on July 26, 2018. Retrieved July 25, 2018. ^ a b c Huver, Scott (November 1, 2016). "Peyton Reed Teases 'Crazy Stuff' in 'Ant-Man and the Wasp'". Moviefone. Archived from the original on November 2, 2016. Retrieved November 1, 2016. ^ Cavna, Michael (July 6, 2018). "How 'Ant-Man and the Wasp' director looked to Barbra Streisand for Marvel action". Washington Post. Archived from the original on July 7, 2018. Retrieved July 7, 2018. ^ King, Darryn (July 6, 2018). "The Science (and the Scientists) Behind 'Ant-Man'". The New York Times. Archived from the original on October 24, 2018. Retrieved October 24, 2018. ^ Kroll, Justin (June 7, 2017). "'Black Mirror's' Hannah John-Kamen Lands Key Role in 'Ant-Man and the Wasp'". Variety. Archived from the original on June 7, 2017. Retrieved June 8, 2017. ^ Hipes, Patrick (July 18, 2017). "Walton Goggins Flies To 'Ant-Man and the Wasp'". Deadline Hollywood. Archived from the original on July 18, 2017. Retrieved July 18, 2017. ^ Keene, Allison (March 15, 2018). "'Avengers: Infinity War:' The Russo Brothers on Action, Tone, and Movies That Influenced the MCU Sequel". Collider. Archived from the original on March 16, 2018. Retrieved March 15, 2018. ^ Patches, Matt (July 16, 2018). "Ant-Man and the Wasp's director on that claustrophobic post-credit scene". Polygon. Archived from the original on July 17, 2018. Retrieved July 17, 2018. ^ Lesnick, Silas (October 11, 2016). "Doctor Strange IMAX Preview Teases a Marvel Cinematic Multiverse". ComingSoon.net. Archived from the original on October 11, 2016. Retrieved October 11, 2016. ^ Schmidt, Joseph (March 6, 2017). "Ant-Man and the Wasp Working Title Revealed". Comicbook.com. Archived from the original on March 7, 2017. Retrieved March 6, 2017. ^ a b c d e f Seymour, Mike (July 16, 2018). "A Bug's Wife: Ant-Man and the Wasp". Fxguide. Archived from the original on July 17, 2018. Retrieved July 17, 2018. ^ Walljasper, Matt (August 24, 2017). "What's filming in Atlanta now? Avengers: Infinity War, Ant-Man and the Wasp, Valor, Uncle Drew, plus the Marvel film that got away". Atlanta. Archived from the original on August 26, 2017. Retrieved August 26, 2017. ^ Jacobs, Eammon (September 10, 2017). "Ant-Man and The Wasp Set Video Teases San Francisco Action Sequence". Screen Rant. Archived from the original on September 11, 2017. Retrieved September 10, 2017. ^ Dennis, Zach (October 3, 2017). "Casting Call: Marvel needs you for a scene in Savannah for 'Ant-Man and the Wasp'". Savannah Morning News. Archived from the original on October 4, 2017. Retrieved October 3, 2017. ^ Suri, Sameer (November 20, 2017). "Is that you, Michelle? Pfeiffer, 59, looks unrecognizable as she dyes her hair grey to film Ant-Man and the Wasp alongside Michael Douglas, 73". Daily Mail. Archived from the original on November 21, 2017. Retrieved November 20, 2017. ^ Reed, Peyton [@MrPeytonReed] (November 19, 2017). "That's a wrap. #AntManandtheWasp" (Tweet). Archived from the original on June 24, 2017. Retrieved November 20, 2017 – via Twitter. ^ Robinson, Joanna (November 28, 2017). "What RoboCop Has to Do with the Future of the Marvel Cinematic Universe". Vanity Fair. Archived from the original on December 2, 2017. Retrieved December 2, 2017. ^ Hall, Andy. "Ant-Man and the Wasp". Elastic. Archived from the original on October 24, 2018. Retrieved October 24, 2018. ^ Frei, Vincent (July 2, 2018). "Ant-Man and the Wasp". Art of VFX. Archived from the original on July 6, 2018. Retrieved July 6, 2018. ^ Failes, Ian (August 14, 2018). "Creating the Size-Shifting Car Chase In Ant-Man and the Wasp". VFX Voice. Archived from the original on August 23, 2018. Retrieved August 22, 2018. ^ Reed, Peyton [@MrPeytonReed] (June 23, 2017). "Is christophe beck coming back? Oh yes!" (Tweet). Archived from the original on June 24, 2017. Retrieved June 24, 2017 – via Twitter. ^ Schweiger, Daniel (July 3, 2018). "Interview with Christophe Beck". Film Music Magazine. Archived from the original on October 24, 2018. Retrieved October 24, 2018. ^ "'Ant-Man and the Wasp' Soundtrack Details". Film Music Reporter. July 5, 2018. Archived from the original on July 7, 2018. Retrieved July 7, 2018. ^ Burton, Bonnie (July 22, 2017). "Comic-Con 2017: 'Black Panther,' 'Infinity War' blew us away at the Marvel panel". CNET. Archived from the original on July 23, 2017. Retrieved July 22, 2017. ^ "2019 Hyundai Veloster Will Make Its Hollywood Debut in Marvel Studios' "Ant-Man and the Wasp"". Hyundai Motor America. January 15, 2018. Archived from the original on January 20, 2018. Retrieved January 20, 2018. ^ Evans, Greg (January 30, 2018). "'Ant-Man and the Wasp' Trailer, Poster: Paul Rudd Stung By New Wasp Tech". Deadline Hollywood. Archived from the original on January 31, 2018. Retrieved January 31, 2018. ^ Outlaw, Kofi (January 30, 2018). "'Ant-Man and the Wasp' Director Reveals Trailer's Musical Easter Egg". ComicBook.com. Archived from the original on February 1, 2018. Retrieved February 1, 2018. ^ Betancourt, David (January 31, 2018). "'Ant-Man' and The Wasp' trailer tries to shrink through the 'Black Panther' hype". The Washington Post. Archived from the original on February 1, 2018. Retrieved January 31, 2018. ^ Brown, Tracy (January 31, 2018). "First 'Ant-Man and the Wasp' trailer flaunts Evangeline Lilly's super-heroics". Los Angeles Times. Archived from the original on January 31, 2018. Retrieved January 31, 2018. ^ a b McMillan, Graeme (May 1, 2018). "'Ant-Man and the Wasp' Is an 'Infinity War' Palate Cleanser". The Hollywood Reporter. Archived from the original on May 3, 2018. Retrieved May 3, 2018. ^ Ritman, Alex (June 13, 2018). "CineEurope: Disney Offers Glimpses of 'Toy Story 4,' 'Avengers 4,' 'Wreck-It Ralph 2'". The Hollywood Reporter. Archived from the original on June 14, 2018. Retrieved June 14, 2018. ^ Johnson, Zach (June 26, 2018). "Ant-Man and the Wasp: Inside the Star-Studded Premiere". E! Online. Archived from the original on June 26, 2018. Retrieved June 26, 2018. ^ Aresti, Zoe (November 15, 2017). "Latest Film Release Changes: 15 November 2017". Digital Cinema Media. Archived from the original on June 7, 2018. Retrieved June 7, 2018. ^ a b Butler, Tom (May 1, 2018). "Was 'Ant-Man and the Wasp' delayed in the UK because of the World Cup?". Yahoo!. Archived from the original on May 31, 2018. Retrieved June 2, 2018. ^ Fullerton, Huw (July 11, 2018). "Why isn't Ant-Man and the Wasp out in UK cinemas yet?". Radio Times. Archived from the original on July 12, 2018. Retrieved July 12, 2018. ^ Bonomolo, Cameron (May 28, 2018). "Fans Are Petitioning For Marvel To Change The 'Ant-Man & The Wasp' Release Date in The UK". ComicBook.com. Archived from the original on June 2, 2018. Retrieved May 29, 2018. ^ Chitwood, Adam (September 10, 2018). "'Ant-Man and the Wasp' Blu-ray Release Date and Details Revealed with New Trailer". Collider. Archived from the original on September 10, 2018. Retrieved September 10, 2018. ^ Bonomolo, Cameron (September 9, 2018). "Marvel Cinematic Universe Movies Pass $4 Billion at Box Office in 2018". Comicbook.com. Archived from the original on September 10, 2018. Retrieved September 10, 2018. ^ D'Alessandro, Anthony (July 15, 2018). "Why Dwayne Johnson Pic 'Skyscraper' Went Up In Flames At The B.O. With $25M+". Deadline Hollywood. Archived from the original on July 17, 2018. Retrieved July 16, 2018. ^ D'Alessandro, Anthony (July 22, 2018). "Shocker: 'Mamma Mia 2' Meets B.O. Waterloo As 'Equalizer 2' Is The No. 1 Winner That Takes It All With $35M+". Deadline Hollywood. Archived from the original on July 24, 2018. Retrieved July 24, 2018. ^ D'Alessandro, Anthony (July 29, 2018). "'Mission' Accomplished: 'Fallout' $61M+ Opening Reps Record For Tom Cruise Franchise – Sunday". Deadline Hollywood. Archived from the original on August 2, 2018. Retrieved August 1, 2018. ^ D'Alessandro, Anthony (August 5, 2018). "'Mission' Notches Best 2nd Weekend For Franchise With $35M; 'Christopher Robin' No Eeyore With $25M – Sunday Box Office". Deadline Hollywood. Archived from the original on August 14, 2018. Retrieved August 14, 2018. ^ D'Alessandro, Anthony (August 13, 2018). "'Meg' Makes More Moola: Updated $45M+ Opening Reps Record Debut For Director Jon Turteltaub – Box Office". Deadline Hollywood. Archived from the original on August 14, 2018. Retrieved August 14, 2018. ^ Robbins, Shawn (May 11, 2018). "Long Range Tracking: 'Ant-Man and the Wasp' Debuts; 'Deadpool 2' & 'Solo: A Star Wars Story' Updates". BoxOffice. Archived from the original on May 14, 2018. Retrieved May 14, 2018. ^ Tartaglione, Nancy (July 8, 2018). "'Ant-Man And The Wasp' Zaps $85M In Debut; China's 'Dying To Survive' Prescribes $200M – International Box Office". Deadline Hollywood. Archived from the original on July 9, 2018. Retrieved July 9, 2018. ^ Tartaglione, Nancy (July 15, 2018). "'Hotel Transylvania 3' Registers $100M+ WW; 'Skyscraper' Jumps In Low With $40M Offshore – International Box Office". Deadline Hollywood. Archived from the original on July 17, 2018. Retrieved July 16, 2018. ^ Tartaglione, Nancy (July 24, 2018). "Pop & Rock: 'Mamma Mia 2' Puts $43M In Offshore Jukebox, 'Skyscraper' Tops China With $48M – International Box Office". Deadline Hollywood. Archived from the original on July 24, 2018. Retrieved July 24, 2018. ^ Tartaglione, Nancy (July 30, 2018). "'Mission: Impossible – Fallout' Jumps Higher With Record $156M Global Bow – International Box Office". Deadline Hollywood. Archived from the original on August 2, 2018. Retrieved August 1, 2018. ^ Tartaglione, Nancy (August 5, 2018). "Cruise Control: 'Mission: Impossible – Fallout' Revs To $330M WW – International Box Office". Deadline Hollywood. Archived from the original on August 14, 2018. Retrieved August 14, 2018. ^ Tartaglione, Nancy (August 19, 2018). "'Meg' Munches On $300M+ & 'M:I- Fallout' Jumps Over $500M WW In Milestone-Rich Frame – International Box Office". Deadline Hollywood. Archived from the original on August 21, 2018. Retrieved August 20, 2018. ^ Tartaglione, Nancy (August 26, 2018). "'Ant-Man & The Wasp' Whips Up $68M China Bow; 'Meg' Mints $400M+; 'Crazy Rich' Starts In Asia – International Box Office". Deadline Hollywood. Archived from the original on August 27, 2018. Retrieved August 27, 2018. ^ a b Tartaglione, Nancy (September 3, 2018). "'Mission: Impossible – Fallout' Flies Into China With Series High $77M, Cruises To $649M WW – International Box Office". Deadline Hollywood. Archived from the original on September 3, 2018. Retrieved September 3, 2018. ^ Tartaglione, Nancy (September 9, 2018). "'The Nun' Conjures $77.5M Overseas, $131M Global Bow; 'M:I – Fallout' Tops $700M WW – International Box Office". Deadline Hollywood. Archived from the original on September 10, 2018. Retrieved September 10, 2018. ^ a b Travers, Peter (June 27, 2018). "'Ant Man and the Wasp' Review: Tiny Heroes Turn New MCU Epic Into Giant Fun". Rolling Stone. Archived from the original on June 29, 2018. Retrieved June 27, 2018. ^ "Ant-Man and the Wasp (2018)". Rotten Tomatoes. Fandango Media. Retrieved January 29, 2019. ^ "Ant-Man and the Wasp Reviews". Metacritic. CBS Interactive. Retrieved August 14, 2018. ^ Roeper, Richard (July 5, 2018). "'Ant-Man and the Wasp' a buzzworthy sequel full of laughs and CGI thrills". Chicago Sun-Times. Archived from the original on July 5, 2018. Retrieved July 6, 2018. ^ Dargis, Manohla (July 4, 2018). "Review: 'Ant-Man and the Wasp' Save the World! With Jokes!". The New York Times. Archived from the original on July 5, 2018. Retrieved July 6, 2018. ^ Abrams, Simon (July 2, 2018). "Ant-Man and the Wasp". RogerEbert.com. Archived from the original on July 5, 2018. Retrieved July 6, 2018. ^ Gleiberman, Owen (June 27, 2018). "Film Review: 'Ant-Man and the Wasp'". Variety. Archived from the original on June 27, 2018. Retrieved June 27, 2018. ^ Hornaday, Ann (June 27, 2018). "The plot is ho-hum, but 'Ant-Man and the Wasp' is still endearing and fun". The Washington Post. Archived from the original on July 5, 2018. Retrieved July 6, 2018. ^ Burr, Ty (July 4, 2018). "'Ant-Man and the Wasp' is a Marvel marvel". Boston Globe. Archived from the original on July 5, 2018. Retrieved July 6, 2018. ^ Zacharek, Stephanie (July 3, 2018). "Review: Ant-Man and the Wasp Has Stakes as Small as Its Superheroes But It's Hard to Dislike". Time. Archived from the original on July 5, 2018. Retrieved July 6, 2018. ^ Xu, Linda (October 17, 2018). "'A Star Is Born,' 'Black Panther' Lead Hollywood Music in Media Awards Nominees". The Hollywood Reporter. Retrieved December 12, 2018. ^ Lammers, Timothy (June 23, 2018). "Michael Douglas Wants To Play Young Hank Pym in Ant-Man Prequel". Screen Rant. Archived from the original on July 17, 2018. Retrieved July 16, 2018. ^ Drysdale, Jennifer (February 7, 2019). "Michael Douglas Says 'There's Been Talk' About 'Ant-Man 3'". Entertainment Tonight. Archived from the original on February 8, 2019. Retrieved February 8, 2019.